Model #: BG 100Q/CL/MC-120 "SHORT" 1.75"
The following are detailed specifications about the 100-Watt Mini-Can Halogen Light Bulb. Model Number: BG 100Q/CL/MC-120 "SHORT" 1.75"
100-watt JD short mini-can base with clear finish. Average rated life of 2000 hours. 120 volts line voltage. How great to find this hard to find bulb right at my fingertips. I had looked everywhere for it! 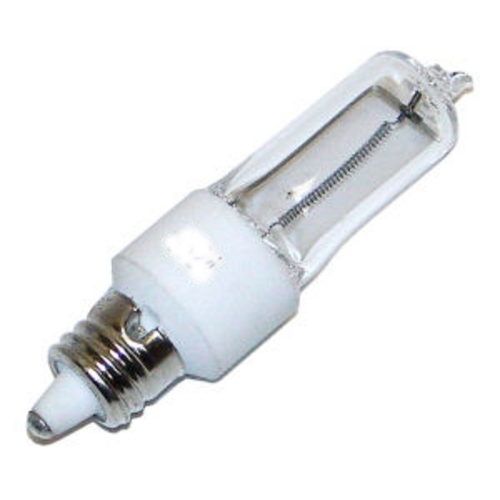 This 100-Watt Mini-Can Halogen Light Bulb is part of the $item.xCollectionName Collection from Dolan Designs. The following items are also part of the $item.xCollectionName Collection.